K-beauty products are popular now due to their good quality and affordable prices. If you watch kdramas or is into Kpop, you would have been amazed at the radiant flawless yet natural looking skin of the actresses and idols! 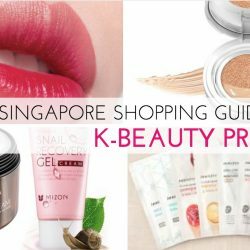 If you haven't tried any K-beauty products, or is just getting on the bandwagon, let BQ tell you which products you should buy and where to buy them with low prices!